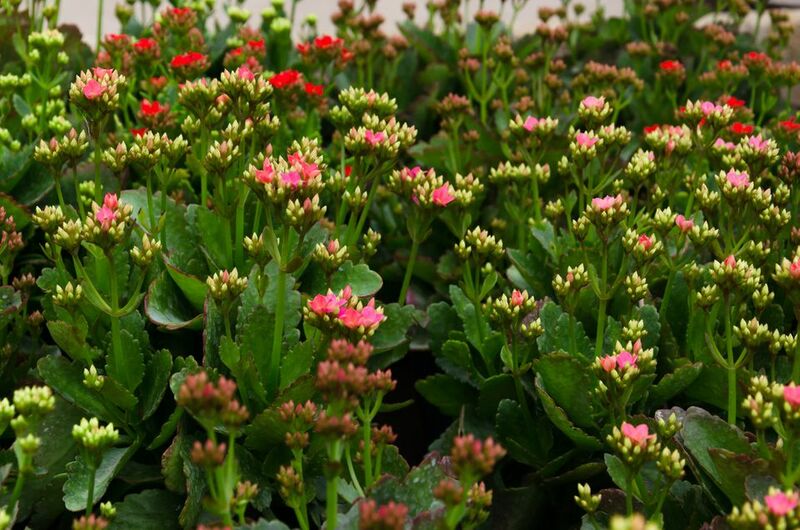 Kalanchoe is a popular succulent. Why do we use those hard-to-pronounce scientific names of plants? Is it out of smugness? Wouldn't it be more "democratic" to use the common monikers (or "nicknames") that everyone can understand, instead of the hoity-toity botanical names? Ironically, that's just the point: Not everyone can understand what particular specimens are being referred to by those charming old nicknames. The latter vary not only from language to language, but also from region to region. Thus we inject too much confusion into the discussion when we forgo using scientific names of plants in favor of their nicknames. In fact, even within the same region, a specimen may well have more than one nickname attributed to it. Or in some cases, none exists at all for a given specimen. Worse yet, two specimens quite unrelated may share the exact same nickname! Scientific Names of Plants to the Rescue! It was to combat such confusion that Swedish naturalist Carolus (Carl) Linnaeus (1707-1778) developed what is known as the binomial system for taxonomy -- in other works, the use of scientific names for plants. "Binomial" means that two words are used for classification purposes, and those two words are in Latin (or Latinized, at least). You may remember from history class that Latin was once the universal language of Western scholars. And it is that very universality that is still relied upon to bring some clarity to the business of plant classification, in the form of scientific names for plants. So if you plug Glechoma hederacea, for instance, into the Google search engine, by about the fourth page of results you'll see that some of the entries are in languages other than English. That's universality for you, and that's the beauty of the scientific names of plants. Speaking of Glechoma hederacea, the weed to which it refers with such clarity provides a wonderful example of the superiority of scientific names of plants over their common counterparts. For Glechoma hederacea has enough nicknames attached to it to make your head spin! One of them is "creeping charlie." But to get some indication of how confusing it can be to forgo scientific names of plants in favor of nicknames, see my article on creeping charlie, which also relates some of the history of this storied yet obscure weed. But admittedly, the pronunciation of the scientific names of plants is another matter altogether. For the pronunciation of the scientific names of plants can be downright confusing! And the confusion is exacerbated by the fact that, in some cases, there is more than one proper pronunciation for the word. Thus you can go your whole life hearing the certain (and proper) pronunciations of the scientific names of plants, only to encounter other (equally proper) pronunciations that leave you scratching your head.